A growing world population and a growing number of applications for vegetable oils are generating an increasing demand for these oils, causing serious environmental problems. A sustainable lipid production is then fundamental to address these problems. Oleaginous yeasts are a promising solution for sustainable lipid production, but, with the current knowledge and technology, they are still not a serious alternative in the market. 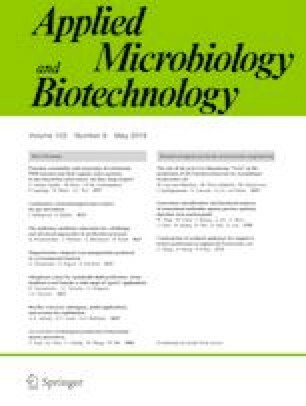 In this review, the potential of these yeasts is highlighted and a discussion is made mainly focused on the economics of the oleaginous yeast oil production and identification of the key points to be improved to achieve lower production costs and higher income. Three main stages of the production process, where costs are higher, were identified. To render economically feasible the production of oils using oleaginous yeasts, a reduction in production costs must occur in all stages, lipid yields and productivities must be improved, and production must be targeted to high-value product applications. This study was supported by the Portuguese Foundation for Science and Technology (FCT) under the scope of the strategic funding of UID/BIO/04469/2013 unit and COMPETE 2020 (POCI-01-0145-FEDER-006684), FCT doctoral grant (SFRH/BD/80490/2011) attributed to Bruno Vasconcelos, and BioTecNorte operation (NORTE-01-0145-FEDER-000004) funded by the European Regional Development Fund under the scope of Norte2020—Programa Operacional Regional do Norte. Bruno Vasconcelos declares that he has no conflict of interest. José Carlos Teixeira declares that he has no conflict of interest. Giuliano Dragone declares that he has no conflict of interest. José António Teixeira declares that he has no conflict of interest.